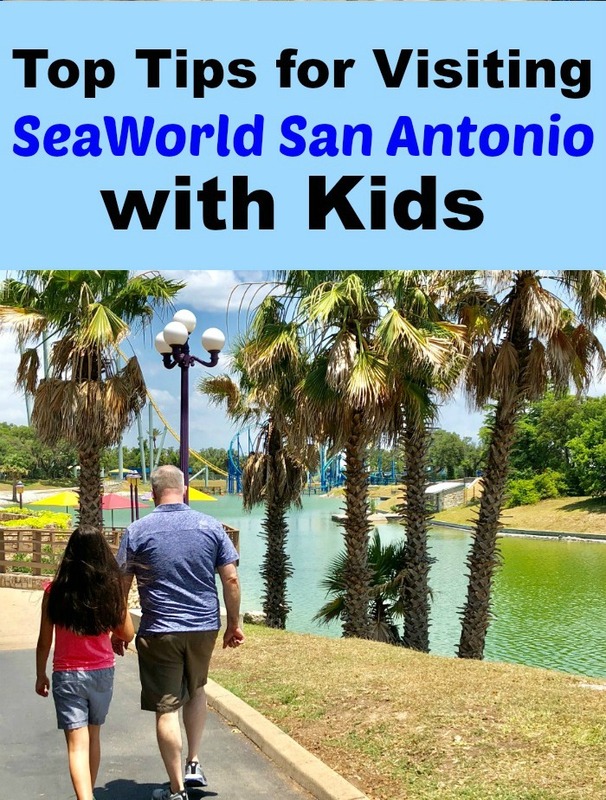 Recently I headed off to San Antonio, Texas for a weekend of food and family fun thanks to my friends at SeaWorld San Antonio. 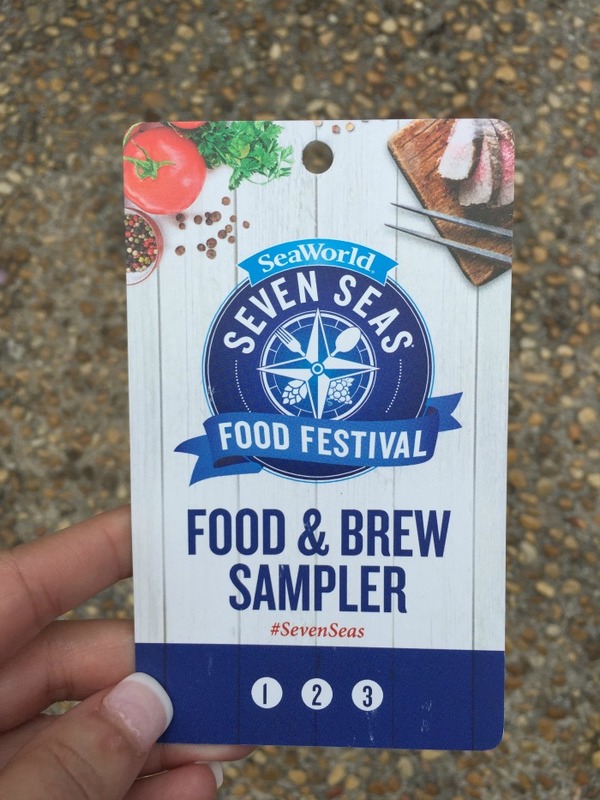 As a result, I bring you this sponsored post and your guide to the Seven Seas Food and Wine Festival. 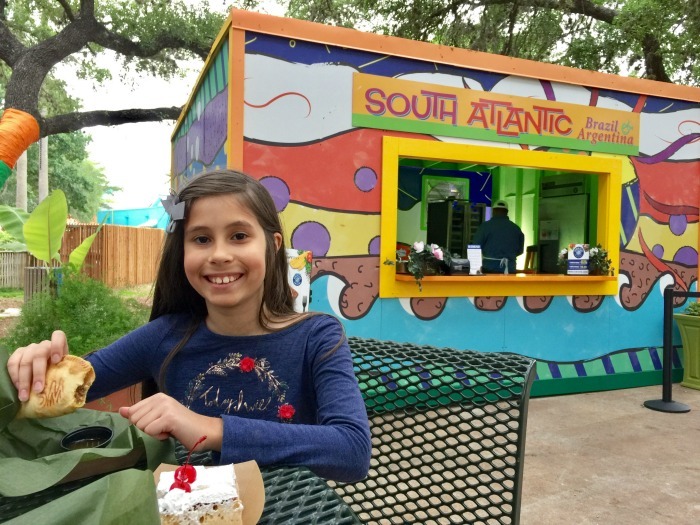 I had to tempt you with my food from just one of the many stops along the way as I strolled through SeaWorld San Antonio. Italy was my first stop and I couldn’t help but enjoy both savory and sweet (oh, the cannoli was heavenly) and try my first sip of Limoncello. 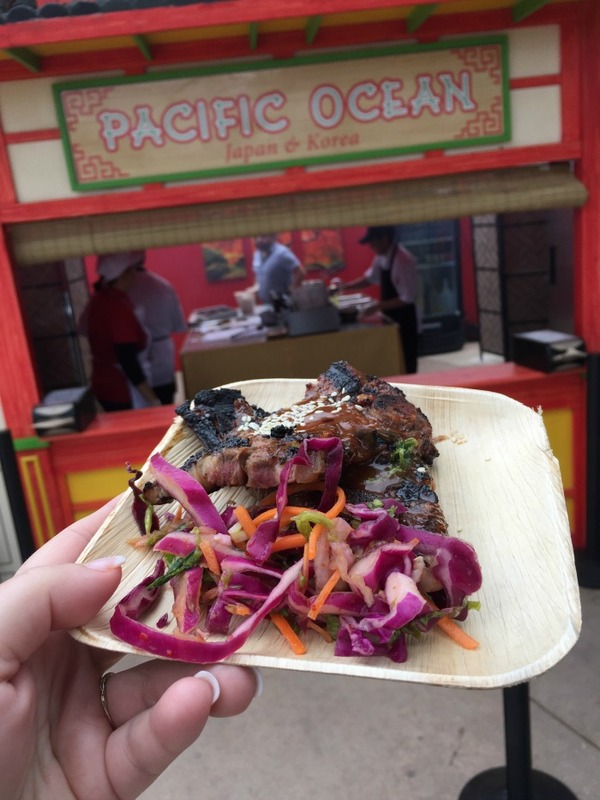 Now through May 5th (2019), you can enjoy the sights, sounds and tastes of the annual Seven Seas Food and Wine Festival. Though I’ve visited the park many times, I never experienced the festival and it was a definite treat. Note: I attended the festival in years past and below is my experience with of course, updated details on the current festival, but it will more than give you a feel for whether the festival is something you and your family will enjoy. 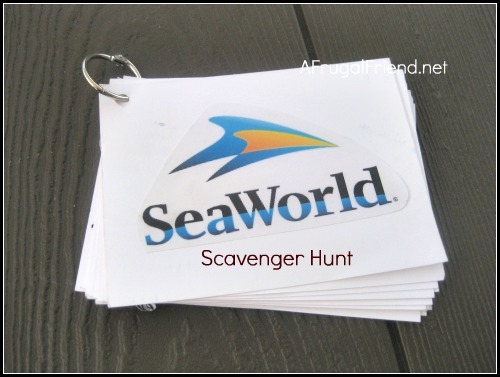 Admission is included with your Annual Pass, Fun Card or single-day ticket to SeaWorld San Antonio. What that means is that you can enjoy the activities of the festival (live music, strolling entertainers, and I even saw a cake decorating competition), but of course any food and drink you want to experience will be an additional cost. More details on that later. You can sample a wide variety of dishes, from exotic plates you’ve never heard of to classic foods you’ll instantly recognize. You’ll also be able to sip a global collection of unique wines, craft cocktails and imported beers. TIP: Try this at the Beer Garden, a relaxing spot along the water with comfortable seating, outdoor lighting and music. This Korean Beef Short Ribs entree (above) at the Pacific Ocean spot. We went back for seconds later in the day. It’s fabulously marinated for 48 hours in a sweet and spicy sauce then grilled to perfection. You’ll spy individual small buildings and themed areas made especially for the festival throughout the park. Festival guides show you were they are located. These were the food locations available during my visit. As you can tell, 2019 has expanded the food offerings considerably and I couldn’t be more excited! So many foods to try. 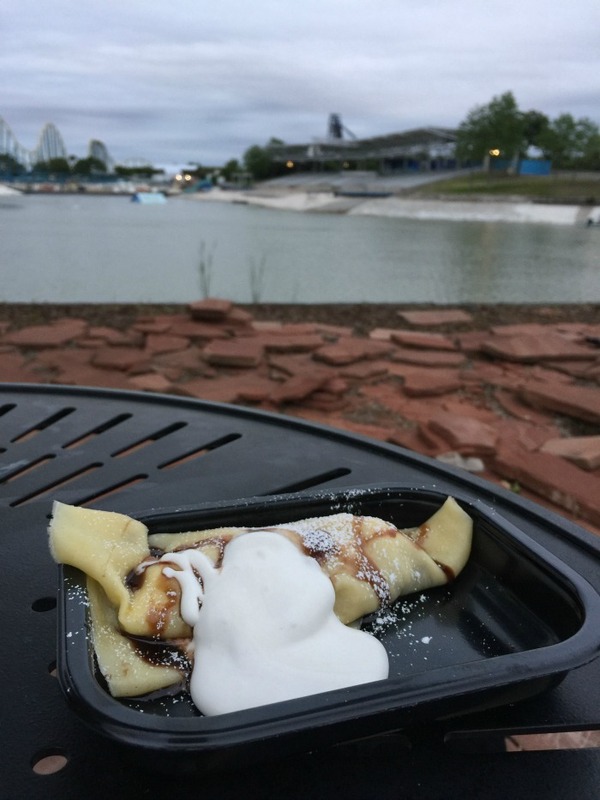 The Hazelnut S’Mores Crepe in “France” – seriously so good! And yes, we went back for seconds later in the day for this entree too. The line (if any) is worth the wait. Trust me. Is the Festival for Kids? Yes! My partner in crime, a certain daughter of mine, enjoyed the festival all day long. No need to worry if your child isn’t a foodie and prefers comfort food. In fact, my daughter had mac ‘n cheese in “Jamaica” though it was made a bit more fabulous. It was called the Caribbean Baked Mac N Cheese and featured creamy macaroni & cheese mixed with spiced chicken and topped with mixed cheddar cheese. An instant hit with the kids (and adults too)! While my daughter certainly loved good old classic entrees like the mac ‘n cheese and meatballs, she tried new-to-her dishes like empanadas (spicy beef empanadas served with Argentinian style chimmi-churri sauce) and tres leches (sponge cake soaked with three different milks topped with whipped cream) at the South Atlantic stand. The kids will have fun and might even get involved with the entertainment. 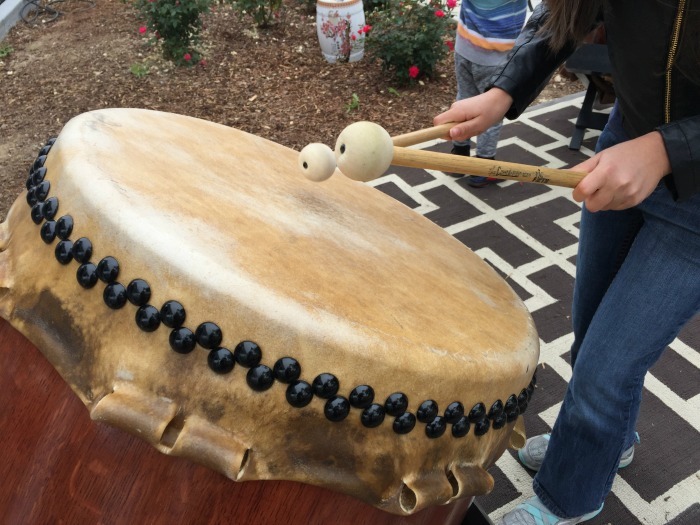 Here my daughter joined the professional drummers for a quick practice session in the Pacific Ocean area. *May also be used for bottled water or soda. 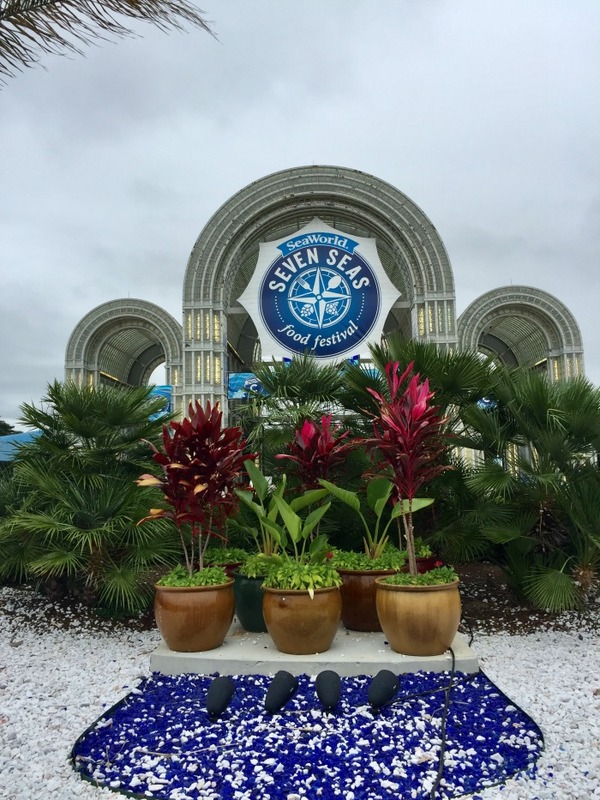 While we certainly enjoyed some rides and saw our fair share of animals during our visit at the park (penguins, dolphins, sharks and the new baby orca whale), the Seven Seas Food and Wine Festival was an entirely new way to enjoy it. We will be back! Visit festival page for more! Have you ever visited San Antonio? 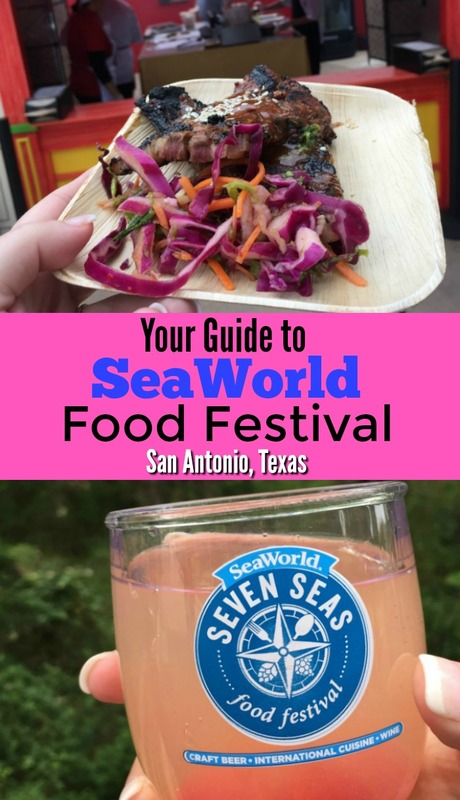 I love how Sea World San Antonio changes things up every year for the Food and Wine Festival. When I was there last year, the foods were different than those you enjoyed this year. It’s a great time to enjoy the park, though! Oh that is good to know! Makes me definitely excited to attend again next year! I have never been there before. I would enjoy taking my family for food and fun. The 2019 list sounds fantastic! I think I’ll need to try the cake, for sure. I couldn’t agree more – so many new flavors to try this year!